Originally established by American University, the China Studies Institute (formerly the Beijing Program in Asian Studies) offers students firsthand knowledge of the emerging economic and political powerhouse. China's ascendancy necessitates dialogue and understanding not just at the governmental level but also at the grassroots level. It is the mission of the China Studies Institute to promote such understanding in a manner that accounts for China's unique cultural and political realities. The China Studies Institute has a wide range of courses to suit various needs of students and all courses, except the advanced Chinese classes, are taught in English. It also has a long established travel program and internship practice, among others. Must have Junior or Senior standing at the time of participation. The Institute's host institution, Peking University, is the most prestigious academic institution in China. The Institute is affiliated directly with its School of International Studies and the History Department where you will interact with China's best students. All courses, except the advanced Chinese classes, are taught in English. Internships (both full-time and part-time) and Independent Studies (in research topics from contemporary political, economic, and diplomatic issues to historical inquiries) can also be arranged. Student Financial Services will reassess each applicant's financial aid package for their off-campus semester and provide a breakdown of costs after acceptance from the GEO. Federal and private aid will not be affected. Please contact SFS for specific financial questions. All Gordon students applying to this program must first submit an online seat application to the Global Education Office before applying directly to your program. Seat applications for Spring 2020 must be submitted to the GEO by March 31. After the Global Education Office has notified you of your approval, you may then proceed with the program's application. Spring applications are accepted until November 1. Fall applications are accepted until June 1.  Gordon College is one of the nation's premier Christian colleges and located just north of Boston. We offer students extraordinary access to leading-edge opportunities for intellectual, professional, and leadership development to address the increasingly complex challenges of a global society. Gordon stands apart from other outstanding institutions in New England by combining an exceptional education with an informed Christian faith.